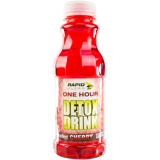 Rapid Clear Cherry Detox drink is used to hold toxins in your body allowing you to be toxin free. 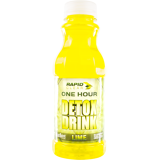 Rapid Clear Lemon Lime Detox drink is used to hold toxins in your body allowing you to be toxin free. 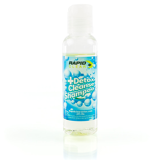 Rapid Clear Detox Cleanse Shampoo is an easy to use, natural, toxin free, and effective detox shampoo. 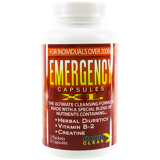 Rapid Clear Split Clean will cleanse your mouth of all unwanted toxins for up to 30 minutes. The detoxification industry has changed over the last 10 years. 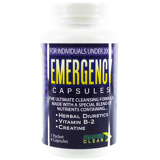 Detoxification companies appear online selling and advertising products over the Internet promising instant cleansing of toxins from your system. Most, if not all of them, are just selling over priced products that don’t do what they claim. When they draw too much negative attention they close up shop and open a new website and repeat the whole process over under a new company name. 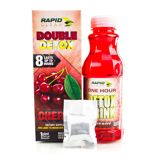 Rapid Clear is a trusted line of products used by thousands of people for their detoxification needs. All of our Rapid Clear products have been publicly trusted and tested by independent labs to ensure the users has the highest quality, safest and 100% undetectable detoxification products on the market today. Our on-site lab technicians work hard to keep the Rapid Clear product formulas with the current science so you don’t have to worry. * All package delivery times given by 513 Ventures or posted on our website are estimates only and based on information provided by UPS. We do not guarantee any specific package delivery times.